We have a wide variety we have to choose from! 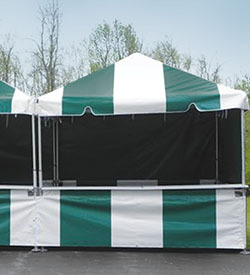 We have a wide variety of frame tents to choose from! We have a wide variety of revival tents to choose from! We have a wide variety of pole used tents to choose from! 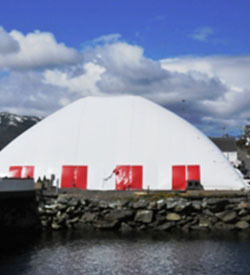 Worldwide Tents offers the very best deals you will find on quality New and Used Revival Tents, Frame Tents, Commercial Rental Industry tents, Pole Tents, Gospel Tents, Revival Tents, Party Tents, Wedding Tents, and Commercial grade Frame Tents! 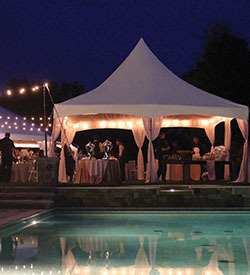 We strive to provide the best Revival Tents and Frame Tents at the lowest price to give shelter to those attending weddings, parties, special events, concerts or Tent Revivals. The revival tents and frame tents we offer are all beautiful, super heavy duty, long lived, and our tent tops are all constructed out of top of the line American Made vinyl! We also make it our goal to provide shelter for missionaries, evangelists, ministries and church services around the world. We at Worldwide Tents will do our best to make sure you get the Revival Tents that will work for you and meet your needs. Providing you with the resources concerning our tents, how they are manufactured, the quality and workmanship put into each tent will give you the information you need to make an informed decision about your new pole tent, Revival Tent, ministry tent, wedding tent, event tent or commercial frame tents. We have a number of nice used Revival Tents available at this time. Check out the used tent page and give us a call. If you don’t see the tent you are looking for on this site please contact us and tell us what you are looking for! Contact us today to find out more about what we can do for you! Worldwide Tents offers the very best deals you will find on quality revival tents and frame tents! Give us a call! 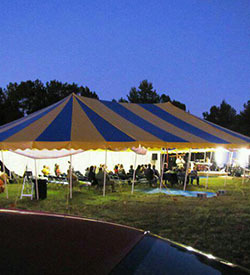 Worldwide Tents is your Revival Tents and Frame Tents headquarters! Great deals on Gospel/Revival Tents and Frame Tents no matter where you are in the world!! Discounts for churches, evangelists, missionaries, and ministries!